2016/12/31 - GRASS GIS version 7.2.0 has been released. See here for more information. 2016/12/05 - MapServer security release version 7.0.3 has been released. See here for more information. 2016/11/28 - PostGIS version 2.3.1 has been released. See here for more information. 2016/10/27 - GDAL 2.1.2 is now available. 2016/10/21 - QGIS version 2.18.0 "Las Palmas" has been released. See the changelog for more information. 2017/10/23 @ Buenos Aires, Argentina - Jeff McKenna will be a keynote speaker at FOSS4G-SotM Argentina. 2017/07/11 @ Kampala, Uganda - Jeff McKenna will be a keynote speaker at Geo4Africa. 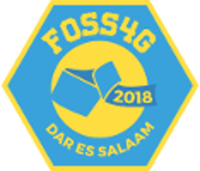 2017/06/29 @ Johannesburg, South Africa - Jeff McKenna will be a keynote speaker at FOSS4G Africa. 2016/08/26 @ Bonn, Germany - Jeff McKenna received the 2016 Sol Katz award for community leadership at FOSS4G 2016. Gateway Geomatics is a consulting company offering services around FOSS4G (Free and Open Source Software for Geospatial). Specializing in publishing spatial data to the Internet using Open solutions, Gateway can help you share your spatial information, using Open standards and Open software, in the environment of your choice. Read more about Gateway's services.